Over the long weekend I went away with my family to Wellington. It was lovely! 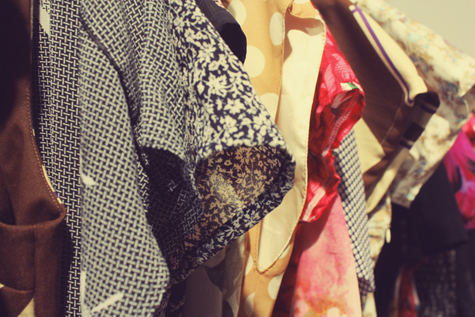 The weather was gorgeous, there was plenty of art to see, vintage shops to explore, cute cafes to frequent, you get the idea. Wellington reminds me a lot of Melbourne which is another city I love, but on a smaller scale. If you're not familiar with Wellington it's New Zealand's capital city, or 'The Middle of Middle Earth' as it is now being called, home to the Tolkien films & our Parliament. 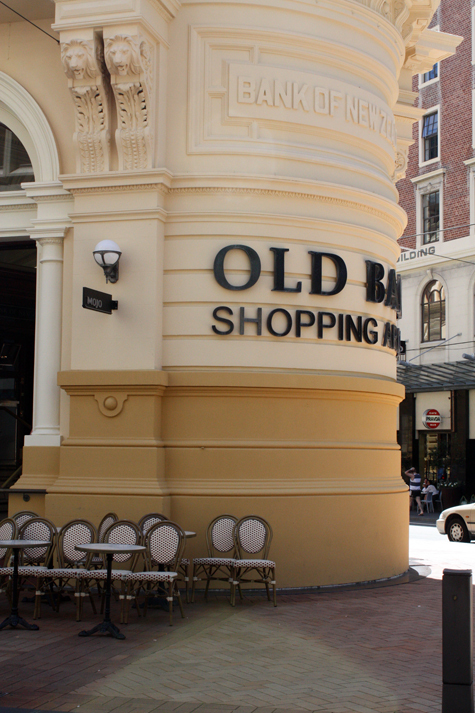 It's a rather rad place & if you're ever in New Zealand I recommend you pay this city a visit. 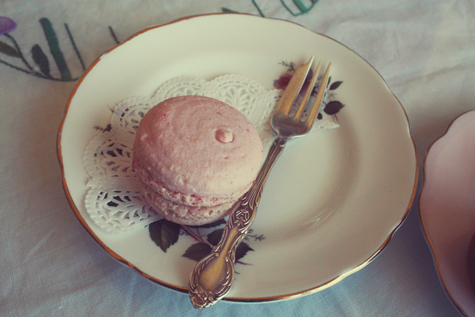 A macaron at Martha's Pantry, one of the prettiest cafes ever! 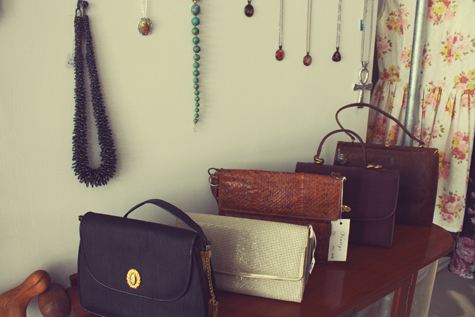 Bags inside one of the many vintage shops. I saw the coolest sunglasses here but I totally forgot to go back & get them *sad face*. 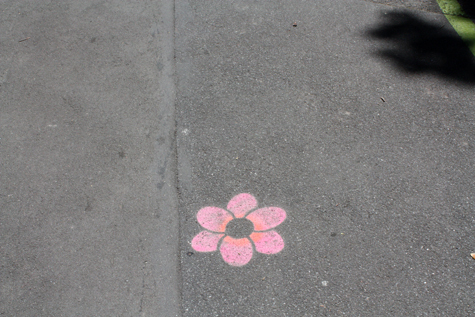 I loved how the path to the Botanical Gardens was marked by these flowers on the pavement. 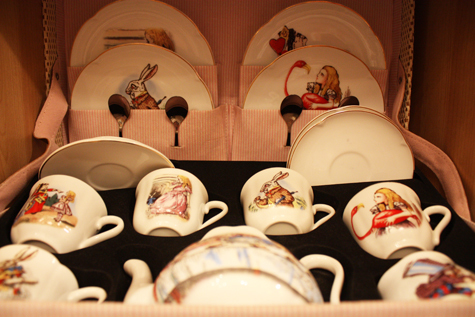 An Alice in Wonderland teaset!! This reminded me of Isabella from Views of Now as I know she loves Alice in Wonderland things. 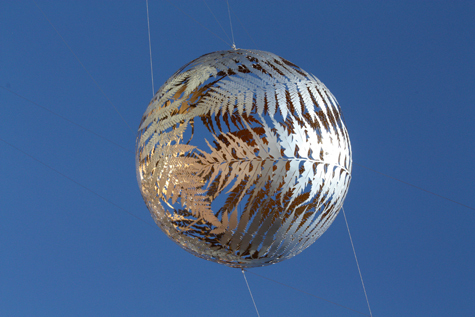 This sculpture is suspended on wires high above the Art Gallery in Wellington. This photo really does it no justice, it is so stunning in person. 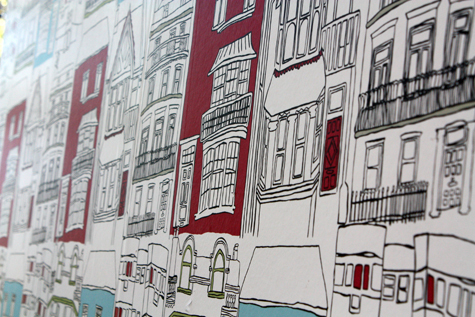 This wallpaper was on the cutest little cafe up a hill. 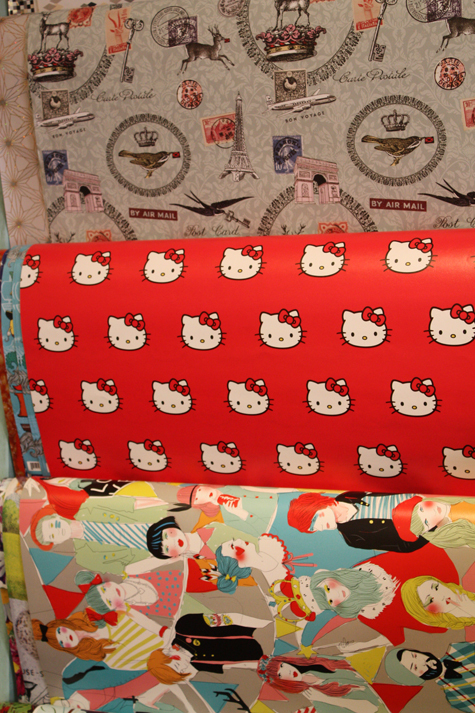 Cute wrapping paper in Iko Iko. This building reminds me of Paris, especially with those tables outside on the pavement. 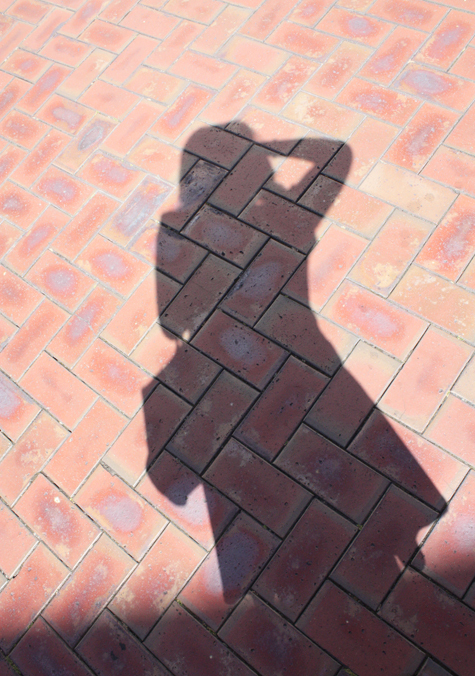 Shadow fun! 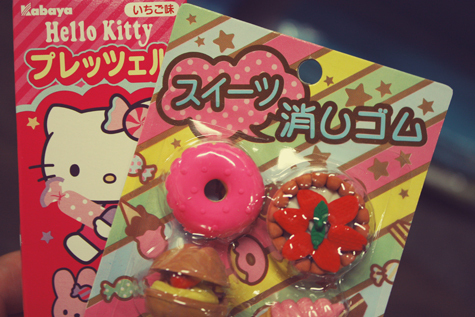 My arm looks really weird, I was adjusting the focus..
Japan City on Cuba St is possibly the best Japanese store, ever! I picked up these treats for some of my friends. My haul! 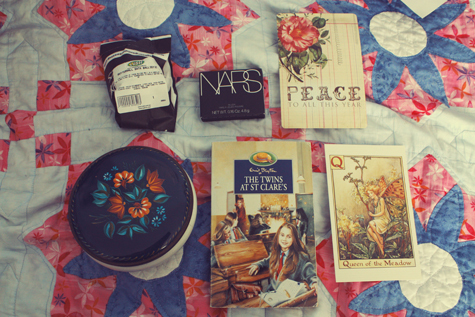 Lush & NARS treats, small postcards, a secondhand book & a vintage tin! I'm thinking of using this to store my eyeshadows or rings or something, still not sure. *I hope you're having a fabulous day! I finished Summer School today (!!) & am home relaxing for a bit before #nzgirlbloggers club tonight with Britney x. 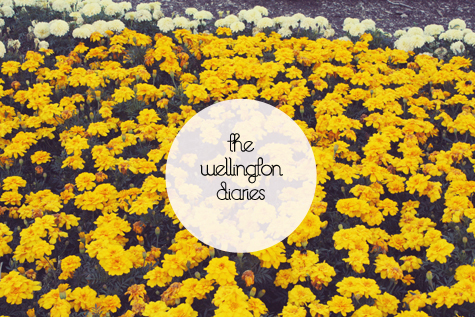 This is my favourite photo diary of any blogger ever! I absolutely adore every single photo, such beautiful colours. Glad you had such a good time. Ah yay you Visited Wellington, i'm lucky enough to call it home! Lucky!! 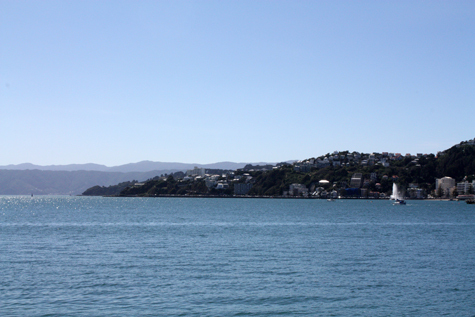 I do love Wellington, it's amazing.